There’s a quality to his style that is suggestive of quips, gag writing. He once said to me there was one thing he always tried to have in a book: there should be a smile on every page. . . . Yet no one book defines a writer—especially a dyspeptic writer—as much as his style. Slaughterhouse-Five and Mother Night may surpass Vonnegut’s other books, as The Adventures of Huckleberry Finn all but dwarfs the rest of Twain, but it’s the timbre of an author’s idling voice that we ultimately know him by. Bierce’s ferocious, hypodermic sting, Mencken’s fulminating mock-heroic bombast: These are their fingerprints. It may be worth a few late words here to try to tissue-type what makes a Vonnegut sentence or paragraph unmistakably his alone. For one thing, of course, a Vonnegut sentence sometimes is a Vonnegut paragraph. Vonnegut didn’t let his nights pasting up the Cornell Daily Sun torpedo a semi-promising academic career without first learning a thing or two about the benefits of shrewdly apportioned white space. His most frequent use of it, the four-word koan “And so it goes” warrants attention on a couple of fronts. Superficially, it’s an affront to every grammar rulebook that ever misinformed impressionable minds about how not to begin a sentence. Less conspicuously, though, it also scans as poetry—iambic dimeter, to be finicky about it, with an internal rhyme thrown in for lagniappe. Vonnegut’s poetic rhythms serve as a clue to another cornerstone of his style: It’s written for the ear, and meant to be heard. The very first sentence of the new collection [Kurt Vonnegut: Novels & Stories 1963–1973], “Call me Jonah,” from Cat’s Cradle, is an imperative, as is the first paragraph of the second chapter of Slaughterhouse-Five, which introduces the whole Billy Pilgrim thread of the story with the single word “Listen.” At least one chapter of Breakfast of Champions begins with the same word, and it recurs with incantatory frequency throughout the Vonnegut corpus. Like any command, it implies both the first and second person, the two most direct spoken voices possible. Vonnegut is talking straight to us, one thing that’s helped endear him to generations of young readers. He also confirms their earliest suspicions that they’re being regularly lied to. Indispensable to Vonnegut’s humane comedy is this informal sense of reader rapport. The first sentence of Slaughterhouse-Five uses the phrase “more or less,” the second, “pretty much.” Before the paragraph is out, we’ll see “And so on.” Precision matters less to Vonnegut than commiseration, the feeling that we’re all in this together and nobody finishes on top, and therefore that sweating every last adverb may not really be for him. AF: The 150th anniversary of the Civil War has generated new interest in Bierce’s war stories, which are hailed as the first depiction of the effects of modern warfare. Do you feel that Bierce’s writing was essentially shaped by his witnessing combat—a case of literary PTSD? Joshi: There is no question that the Civil War—in which Bierce served for the better part of three years (1861–64) before he was granted an honorable discharge because of a serious head injury—colored the whole of the rest of his life. The first of his Civil War stories (“George Thurston,” 1878) was not written until 13 years after the war was over, and the majority of them were written during his first five years on the Examiner (1887–92). Bierce claimed to have enjoyed his years as a soldier, and to the end of his days, he was certain that there was an unbridgeable gulf between the soldier and the civilian—that the latter could have no idea what the former had been through. This is why the first edition of his story collection is called Tales of Soldiers and Civilians (1891). Whether Bierce could be clinically diagnosed with PTSD is of course impossible to answer, but he clearly required years, even decades, to process his war experiences before he could set them down on paper. He maintained that most of the incidents in his tales, however improbable or outlandish they were, were based on first-hand witnessing of real events. AF: Bierce seems to be one of the first writers to tumble into the popular/literary divide. Some critics dismiss his dark, comic tales of horror as potboilers, others see them as crucial links between Poe and Lovecraft. Could he be a little of both—a purveyor of what one critic calls “pulpy morbidity”? Joshi: It is not clear whether Bierce ever regarded himself as a “horror writer” in anything like the modern sense of the term. While he greatly admired Poe (perhaps more for his literary theories and his pungent reviews than for his horror fiction), he resented being considered merely a Poe imitator. Occasionally he would refer to his horror tales as “tragic” tales. Horror fiction (or weird fiction, as I choose to call it) was not a concrete or recognized genre at the time, and many writers—from Frank R. Stockton to Henry James—could dip into the mode as the spirit moved them. Bierce’s tales appeared in magazines or newspapers right alongside more orthodox, mainstream stories, and there does not seem to have been much prejudice against their subject-matter among critics of the day. Stephen W. Sears, historian and author of Gettysburg, recently spoke with us about The Civil War: The Second Year Told by Those Who Lived it, which he edited for The Library of America. The books, which shipped from the printer today, will arrive in the LOA warehouse early next week and will be available in bookstores in March. What about the Civil War year 1862 do you think is especially interesting and important? Did this period pose any special/particular challenges for you as editor? Militarily, 1862 was a roller coaster year, with the fortunes of North and South rising and falling from one battlefield to the next. What was a rebellion becomes a full-fledged war, but fortunately for those of us who try to chronicle it, Civil War soldiers were the most literate of any war up to that time. Not only generals but rear-rank privates put pen to paper. What were your main criteria in choosing pieces for the book? Only participants or eyewitnesses are represented here, in whatever format they selected—letters to home folks, soldier or civilian diaries, memoirs, state papers and correspondence, and the like, taken from published and in some cases unpublished sources. As a leading Civil War historian, you’ve spent many decades with this subject. Did you make any discoveries or gain any new perspectives from your work on this book? A core theme of 1862 is, of course, the path to emancipation. In assembling these documents and fitting them into the context of events, I gained a new respect for the way Lincoln wove his way through thickets of complexity and opposition to achieve his goal. Do you have a favorite author or piece? My personal favorite of all these pieces is the letter of Emily Dickinson’s treatment of the soldier’s death of a hometown boy she had known. The latest research suggests three-quarters of a million deaths in the Civil War. This commemorates one of them, memorably. One of the remarkable things about the War of 1812 at sea (and on the Great Lakes) was how well the youthful U.S. Navy performed against the reputedly omnipotent Royal Navy. No one expected much from a navy that was outnumbered by a ratio of fifty to one. President James Madison claimed the war was about freedom of the seas, but in reality he was more concerned with expanding America’s frontiers and winning the 1812 election, then only months away. Thus it came as a surprise that so many early U.S. successes in the war were won at sea. How was this so? The Royal Navy had earned its mystique the hard way—by being at sea year round, unlike its chief rivals. And the British naval high command indoctrinated its officers with an aggressive streak that bordered on the reckless. The commander of the Boxer, Samuel Blyth, came from a long line of seamen who had helped shape the Royal Navy's mystique. The victories over Spain, Holland, and France dating back to the late 1500s were Blyth's patrimony. The Royal Navy was Blyth's family, and this was the case for many other British commanders. By 1812, British officers and crews had come to see their success not as the result of hard work, but of genetic superiority. All they had to do was show up, be aggressive, and they would carry the day, or so they thought. The U.S. Navy was small in 1812, but it was nimble, and willing. The wars against the Barbary pirates during the administration of Thomas Jefferson had served as an incomparable school for young American officers. Stephen Decatur, David Porter, Oliver Hazard Perry, Thomas MacDonough, Isaac Hull, as well as the Enterprise’s commander, William Burrows, had all served in these wars, and had proven to be good students. There was as yet no naval academy in Annapolis; young officers had to learn what they needed to know on the job. At that time, American crews were composed entirely of volunteers—their counterparts in the Royal Navy were, by contrast, virtually maritime slaves. Anticipating their confrontations with battle-tested British forces, the American officers knew they would be competing on competence. They trained their crews more often, and more thoroughly, and took nothing for granted. The result was that in the overwhelming majority of engagements in the War of 1812 in which American and British naval forces were more or less evenly matched numerically, the U.S. Navy emerged victorious: the Constitution over both the Guerriere and the Java; the United States over the Macedonian, the Wasp over the Reindeer; the Enterprise over the Boxer; and on the Great Lakes, the victory of Perry's squadron over Barclay’s on Lake Erie, and the victory of MacDonough's squadron over Downie’s on Lake Champlain. At first the United States used only her long 24-pounders, of which she carried fifteen on her broadside, while the Macedonian worked a broadside of fourteen long 18-pounders. So unequal a contest could not continue. Not only was the American metal heavier, but the American fire was quicker and better directed than that of the Englishman; so that Carden, after a few minutes of this experience, bore down to close. His manoeuvre made matters worse. The cannonades of the United States came into play; the Macedonian’s mizzen-mast fell, her fore and main top-mast were shot away, and her main-yard; almost all her rigging was cut to pieces, and most of the guns on her engaged side were dismounted. She dropped gradually to leeward, and Decatur, tacking and coming up on his enemy’s stern, hailed, and received her surrender. . . Decatur showed his skill by sparing ship and crew. His own loss was eleven men killed and wounded; the Macedonian’s loss was nine times as great. The United States suffered little in her hull . . . while [aloft] the Macedonian . . . nothing remained standing but her fore and main masts and her fore-yard. The only notable British victory at sea was that of the Shannon over the Chesapeake. In 1814, after Britain made peace with France to end (at least temporarily) the Napoleonic Wars, the Royal Navy could tighten the screws on its blockade of the United States. From then on, any chance of a single ship engagement became a virtual impossibility. The quantitative edge was too great to challenge, but this in no way diminished the qualitative edge the U.S. Navy had demonstrated. Pound for pound, the Navy could claim that by war's end it was the finest in the world. Later this year The Library of America will publish The War of 1812: Writings from America’s Second War of Independence, edited by Donald R. Hickey. 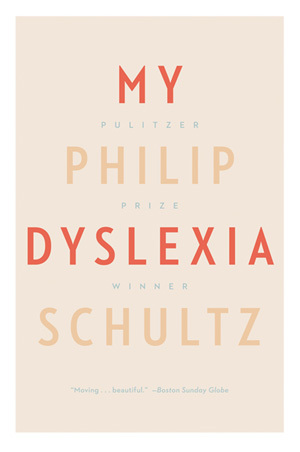 Pulitzer Prize–winning poet Philip Schultz, who published his memoir, My Dyslexia, in 2011, joins our series of guest blog posts by writers of fiction, poetry, history, and essays about works that have influenced them. Schultz revisits the work and achievement of poet and friend Robert Long. Making claims about the importance of recently deceased poets is tricky, especially if the poet was a friend. Robert Long, who died in 2006, was a friend, a poet friend—and friendships among poets is a subject worthy of its own treatise. It’s impossible for me to be objective about his work without sounding self-serving or distorted by a perverse calculus of grief and identification. But I can say that his poems continue to surprise and delight me and that his work is both original and serendipitously blunt. I like bluntness, especially the indirect, somewhat back-stepping kind, the Frank O’Hara and E. E. Cummings kind. Robert Long wrote one full book and three chapbooks that were filtered into the collection Blue (Canio’s Editions 2000), and De Kooning’s Bicycle (FSG 2005), the latter a brilliant novelistic prose celebration of the artists and writers who settled in the Hamptons in the ’50s and ’60s. As John Ashbery said of the book, it’s essentially “the history of mid-twentieth-century American art.” Long, who was the art critic for the East Hampton Star for many years, lived most of his life in East Hampton. While this last book is certainly special, it’s his poetry that will and should be remembered. Like aspirin, over Eighth Avenue. Few poets are able to cram so much keen lyrical feeling and diverse imagery into such a small space with such an entertaining sense of urgency. His was a visual virtuosity born of an intense appreciation of his own odd-minded obsessions with, say, the art of De Kooning, Pollock and Tiepolo; Formula One racing cars; and the visual splendors of the East End of Long Island; not to forget Manhattan’s Hell’s Kitchen and Ninth Avenue, among others. The language in his poems whirls, zigzags, and flows erratically, as if uncontrollable, though all by design. His prepossessing emotional dexterity was fashioned over a lifetime of looking at art. There’s something profoundly subliminal, yet at the same time spontaneous and private in his work. Although his being gay is present in the poems, it’s no more a subject than his politics, or his profound respect for his environment; it was what art turned, agitated, and reconstituted things into that mattered most to him, not ideas in and of themselves. His poetry is, essentially, as introspective and formally causal as he was, proffering an attitude of prepositional forlornness. Even the love poems are addressed to an unnamed anonymous “You,” coloring the intimacy with a second-person sense of privileged familiarity. Though you won’t, ever again. His is a world of drugs, booze, fast living, and intimate, resigned reflection—with a coating of nostalgia for Nowhereville, where angels write postcards and talk on the telephone. The lines whiz by on Librium, the images speak to one another in their own whispered jazzy two-tone argot, a disjointed language of self-avowal, diligent watching, and endless surprise. And a new job just a week away. on your corner. It was December. It was cold. I’d tried on the jacket, out on the street. People walked by. I had my gloves between my teeth. “Whaddaya think, I said. “Looks good,” he said. The wonderful lack of judgment, explanation, or apology throws the reader headlong into the drama and desperation of the scene. Frank O’Hara, an early influence, did his own version of excited conversational truth-telling celebration, but Robert Long has taken that a step further. In the world of his poems the everyday lives side-by-side with off-kilter, hallowed feeling, a place where “St. Lucy is the patron saint of eyes” and we all get a “package from the Dessert-of-the-Month Club,” whether we subscribe or not. His finely honed, keen ability to see beyond where he’s looking probably accounts for his brooding sympathetic music, and the high-mindedness of his anxious intelligence. He knew how to mix the high and the low, raw emotion with restraint, in order to register the deeper mysteries in the silence between words. De Kooning rode a bike but Robert preferred Enzo Ferrari’s Dino, a six-cylinder understated miracle that was “more beautiful than most painting, most poetry.” He deserves another look, as he speeds by. Who knows—maybe we’re all a little more ready for him now. Excerpts from Blue by Robert Long (2000) copyright © 2000 by Robert Long. Reprinted by permission of Canio's Editions. Paul Jennings was considering running away, and his master—the President of the United States—knew it. In January 1817, with only two months remaining in his eight-year administration, James Madison received a letter from his nephew alerting him to a rumor that Jennings and two of the Madisons’ other home slaves in Washington intended to enlist illegally as cooks on sea vessels rather than return to the Madisons’ Virginia plantation. We can imagine Jennings gnawing on the possibility of escape as he walked Washington’s city streets. Just ten in 1809 when he was selected to be part of the White House domestic staff, he had come of age in the nation’s new capital. Jennings would later chronicle many of the stirring events he witnessed during the War of 1812 in the first White House memoir, including his eyewitness account of the rescue from the torches of the invading British army of Gilbert Stuart’s iconic (and enormous) Lansdowne portrait of George Washington. The decision Jennings wrestled with now centered not just on personal risk, his willingness to chance being arrested and punished. Strong family ties bound him to the plantation. Could he abandon the scene of his boyhood, the home of his mother, never to return? It is not known if Madison confronted Jennings with his nephew’s letter but in the event he did go back to Virginia and was “promoted” to the role of personal manservant to the former president. Over Madison’s two-decade-long retirement Jennings served as barber and dressing man, traveling companion and—as Madison’s health declined—intimate caregiver. Always present yet invisible, Jennings was there as the former president received a queue of notables: Thomas Jefferson, Andrew Jackson, Daniel Webster. Young men of learning came, too. They were enthralled as the sage held forth on the fine points of the Constitution and other political and literary subjects. As the constant servant in Madison’s study, Jennings listened to this “feast of reason” on a daily basis. The Madisons’ niece said that Jennings “sighed for freedom . . . was enamoured with freedom.” Considering what he was hearing, how could he not? Jennings absorbed the theoretical underpinnings that allowed him to identify his innate yearning for freedom as a natural right of man. The widow Madison (“as she knew was her husband’s wish”) included a term in her 1841 will that would free “my mulatto man Paul,” the only slave so treated. But when Dolley sold the plantation and moved back to Washington, she considered Jennings an integral member of the household and brought him with her, separating him from his wife and children, who were owned by a Virginia neighbor. Shortly thereafter, in 1844, Jennings’s wife died. Thinking of his now motherless children, the youngest only two, Jennings knew he needed his freedom now. That was when Jennings knocked on the door of Senator Daniel Webster. Even for a slave, it helps to have acquaintances in high places. Webster came to the rescue, loaning Jennings his purchase price, and striking a deal whereby Jennings would work in Webster’s employ to reimburse the advance at the rate of $8.00 per month. Are we surprised that the most-read post on our “literary” blog in 2011 is marketing copy? Not if it’s written by Andy Borowitz. We always thought he was funny; and, apparently, quite a few readers do, too. Just published in October, the book he edited, The 50 Funniest American Writers*: An Anthology of Humor from Mark Twain to The Onion (*According to Andy Borowitz), has become quite a sensation: the first Library of America book to make The New York Times Best Seller list. Given this, it’s no surprise that the book resulted in two of the top four 2011 blog posts. It is possible to be literary and funny. Readers do like lists: from our announcement of best-selling and forthcoming titles to Adam Levin’s list of the works that influenced The Instructions to what you can discover when you compare two lists of “best short stories” a century apart. Readers also responded positively to our “Influences” series—writers describing the authors or works that most influenced them. Three of those—by Levin, Jim Moore, and Lev Grossman—made the top ten. We deeply appreciate that so many writers have generously agreed to contribute to this ongoing series. And seeing two posts on poetry—Moore on Kenneth Rexroth and John Ashbery on Arthur Rimbaud—become so popular confirms what we have long believed: the audience for poetry has been sorely underserved. With the end of 2011 The Library of America’s Story of the Week completes its second full year—and the continued response from readers—in signups, comments, suggestions for stories—confirms this as one of the LOA's most satisfying initiatives. This milestone prompts a review. Which stories did readers like best? Do any themes connect them? Take a look below at the list of last year’s top ten stories. Humorous stories abound (#3,#4,#5, #7 and #8), suggesting that Story of the Week readers like to laugh—even at themselves, since Edith Wharton’s “Xingu” pokes fun at reading groups (not yours, of course, just the pretentious ones). When readers aren’t laughing, are they yearning to be forever young? How curious that the most popular story by several thousand views, “Dr. Heidegger’s Experiment,” was a fable written more than 170 years ago about the hubris of science and the yen for eternal youth? And there’s sparse humor in #2, “Why Don’t You Dance?”—available to Story of the Week readers for a limited period—Raymond Carver’s brief, bleak vignette of a furniture sale in the aftermath of divorce. Stories of challenge best characterize two other top entries. More than a hundred years ago, Mary Church Terrell, an early activist for women’s rights and civil rights, delivered the stem-winding speech “What It Means to be Colored in the Capital of the United States.” Jack London’s “To Build a Fire” dates from around the same time, but his unnamed “man” confronts quite a different challenge: striving to staying alive, alone with his dog in the Yukon at fifty degrees below. Two things seem clear: First, good yarns have long lives. And second, new Story of the Week readers are avid archive combers. What else explains how Shirley Jackson’s “Charles,” first posted in June, 2010, became #8 in 2011?